As a proud AWS partner, we were excited to be part of the conference and, as we announced early in November, are one of the first to offer a SaaS Subscription product on AWS Marketplace. We built Cloudinary on AWS, and offer a unique set of features designed specifically for use on AWS and when using the CloudFront CDN, including migration support for Amazon S3 buckets and upload mapping to enable dynamic, on-the-fly image manipulation, optimization and delivery. This SaaS Subscription offering now makes it easier for Cloudinary customers to pay for their usage as part of their existing AWS bill. Further strengthening our relationship, we also recently achieved Marketing & Commerce competency status from AWS. This designation, which is validation from AWS about our functionality, underscores the importance of Cloudinary in helping deliver cloud-based marketing and ecommerce solutions. 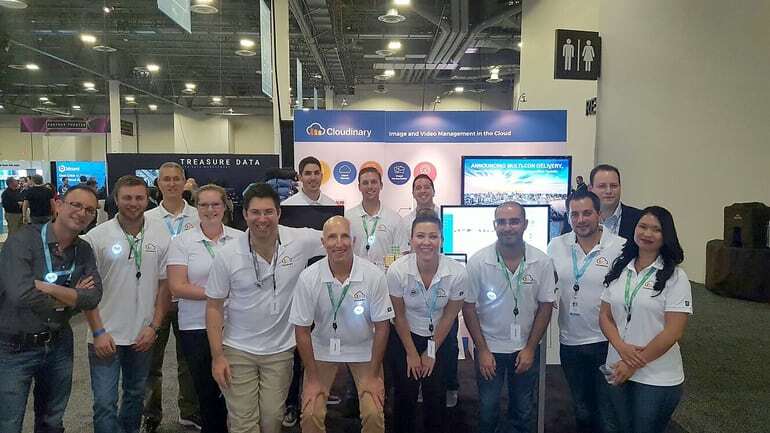 This year in the exhibit hall, we had the chance to reconnect with many of the people we met last year, and talk in more depth with visitors who are now more familiar with what Cloudinary offers. Over the course of the week, we more than tripled the number of leads we got compared to last year, including contacts with many top consumer brands, including automobile manufacturers, high-end retailers and entertainment giants. We also shared exciting details about a new multi-CDN solution – which enables content to be distributed over the best CDN – including Amazon’s CloudFront, Akamai and Fastly – depending on our customers preferences and their end users’ unique characteristics. Another highlight from the event was the standing-room only crowd for a talk on the Top 10 Image Mistakes given by Robert Moseley, our senior solutions engineer, last Wednesday. Since his presentation had a wait list, Robert ended up doing an encore presentation the next day, which was also oversubscribed. 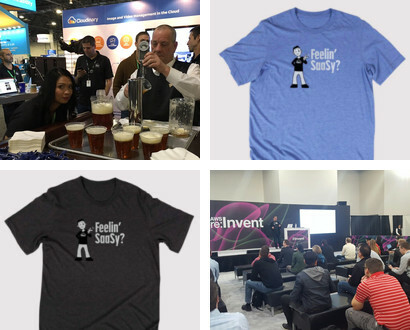 With such a great response from visitors to our booth and attendees of Robert’s presentation, you can understand why Cloudinary was “Feelin’ SaaSy” as we wrapped up our participation in another great AWS re:Invent 2016.